How can I get my Dog signed up for Doggie’s Angels? Once you give us a call we will set up a convenient time to come and meet you and your pet. At that time we will address your expectations, pet's routine, behavioral history ,care needs, medical information, and of course their favorite cuddle toy, treats and tickle spots. We then customize a plan that fits your request. This free consultation is an opportunity to communicate any information necessary so we may provide the best care for your pets. We are located in the San Fernando Valley and serve all of Los Angeles County. Here are just some of the areas we serve. If we didn’t mention you area above please don’t hesitate to call us, we love to accommodate everyone. Are you bonded and insured and how does that protect me? Doggies Angel’s is fully bonded and insured, and proud members of Pet Sitter International. As a member of Pet Sitters international, the largest governing organization in the pet care industry, we are required to abide by the highest of standards. We want our customers to have a peace of mind when we take responsibility for your pets and put them in our care. Having these policies in place shows a level of professionalism and commitment that you can trust. We are extremely personal and pride ourselves on going above and beyond our customer’s expectations. 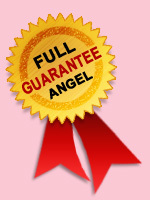 We want be your go-to-angel that you will know and trust to take care of your family member when you’re gone. We are all pet owners ourselves and understand exact how you feel leaving your pets in someone else’s hands. There will be never be any sitting around waiting for a return phone call or email reply. We're available 365 days a year and respond immediately to all inquiries. With Doggie’s Angel’s there are no worries, you can call or email us at anytime to check up on your pets while you're away. When you come home to a happy pet you will always receive a detailed report card on your pet. We absolutely, positively guarantee your satisfaction with every service we provide. Please refer to our services page for basics pricing packages. We gladly accept specialty request and the rates will be based on many factors, including the type of pets you have, driving distance, and type and frequency of service you require. Please feel free to call us and we will design a plan for to meet your specific needs and budget. During initial meeting we always develop emergency preparedness plan. This includes obtaining phone numbers, secondary contact information (eg. parent, friend or neighbor) medical information, health history, and veterinary contact. We first call you to discuss the situation and recommended course of action. If we can’t reach you and medical attention is required we will take your pet to the veterinary practice designated in our client information form. In the event of a life threatening situation, we will take your pet to the closest veterinary practice to our location. The Angels are certified in Pet First Aid and CPR. Pet sitting services are an excellent humane alternative for pet owners reluctant to board their animals. Kennels can typically be small with crowded cages and leave your dog open to exposure to diseases, and lack of exercise. Benefits of having a pet sitter are that it reduces stress, anxiety or depression on your pet while maintaining normal activities and be nurtured in familiar surroundings. At the same time it provides the home with an increased level of safety and security while the owners are away. Most importantly your pets receive the one-on-one love and personal attention they deserve. Our sitters have a wide range of experience with virtually every kind of pet; from dogs and cats, to hamsters and rabbits, iguanas and turtles, to fish and frogs, and even horses! Please let us know if you have a special pet or unusual needs, and we will do our very best to meet your expectations. Why should I exercise/walk my dog, I have a yard. Exercise is as essential to dogs as it is to humans. It is profoundly tied to a dog's physical, mental, and emotional health. The most effective way to fulfill your pet's instinctual needs is to walk with him or her. No matter how small or how old your dog is, he or she can benefit from a walk! In the wild, dogs roam for miles every day and that natural instinct to roam is still present in all dogs. Most experts agree, dogs have different levels of energy but no matter how small or old, dogs with the lowest amount of energy still need at least an hour of exercise a day. Dogs see a large fenced yard as an extension of the home. Although they enjoy sniffing around the backyard, it doesn't substitute or allow them to release the energy like a walk does. Another advantage to regular walking is that it can resolve many behavior issues because a tired dog has a calmer state of mind and is more receptive to training and behavior corrections. Is my dog to old to go on walks? In older dogs, obesity is the most common condition that vets see, and lack of exercise is a critical component of it. As dogs age, they still need their exercise to benefit their heart, lungs, circulation, digestive system, and joints, as well as to fight obesity. Every dog is different in the way he or she ages and the exercise he or she can handle.